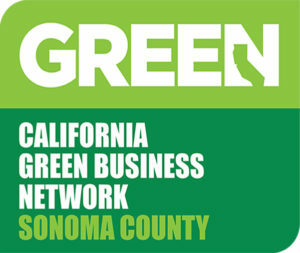 In November 2008 Park Avenue Catering became the only Green Certified Caterer in Sonoma & Napa Counties. The application and qualification process took only 3 months from start to finish, but the practices that led to it were started more than 20 years ago. Chef Riezenman was on the forefront of the farm to table movement In New York and California. From its inception in 1986, Prospect Park (Bruce’s initial Wine Country restaurant) was serving foraged mushrooms, smoked chicken, lamb, cheeses and many other local products that were delivered to his door by the farmers and artisans who produced them. Over the years Bruce has met and worked with more and more local producers and farmers and have touted “Sonoma-grown” products. In keeping with the practices started at Prospect Park, he has continued to source locally grown and sustainable products. All of the meats we use are antibiotic and hormone free, we choose wild and sustainably farmed fish and work to continually source and support our local farmers. Buying locally is important but it is only one part of what it takes to be “Green Certified”. The process starts with a simple application asking basic questions about your business. It is followed by a more in-depth questionnaire and checklist. Park Avenue Catering composts all our food waste, including meat, dairy and green waste. Our recycling and composting encompasses our food prep at our home kitchen as well as all waste from each event. If there facilities for this are not on site, we bring it back home with us. The steps to “Green Certification” are Compliance, Implementation and Continued Efforts to maintain or improve the standards you qualified with. An ongoing employee training & awareness program is an important component. One of the best tools Bruce created for Park Avenue Catering is our “Environmental Report Card”. It is a list of 58 (and growing!) practices we track. It allows us to set goals and to “grade” ourselves in each category. Being “green” these days is more than just “Farm to Fork” or “Farm to Table”. It requires constantly asking questions and understanding the impacts of everything we do. It results in great gains for the community and the environment.